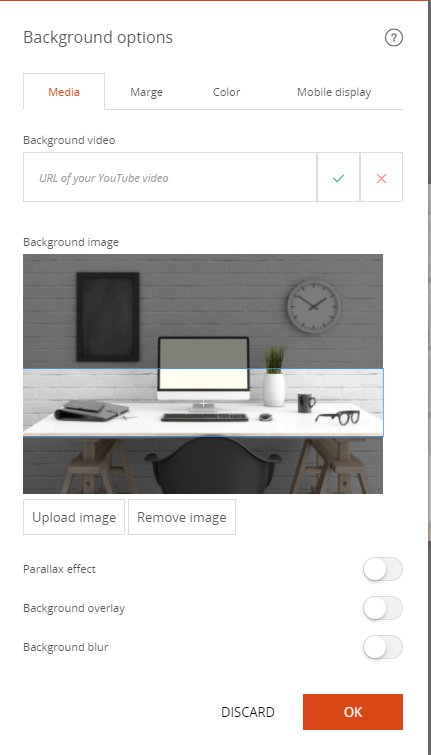 Background images make it possible to have both content in the foreground while having an image displayed in the background. In this example, a background image is used to illustrate the title "New Years Eve Menu"
Start by adding content that should be visible to the foreground. For example, a text block. Place the mouse where you wish to add a text block. Choose the background image you wish to display. The image appears behind the text. 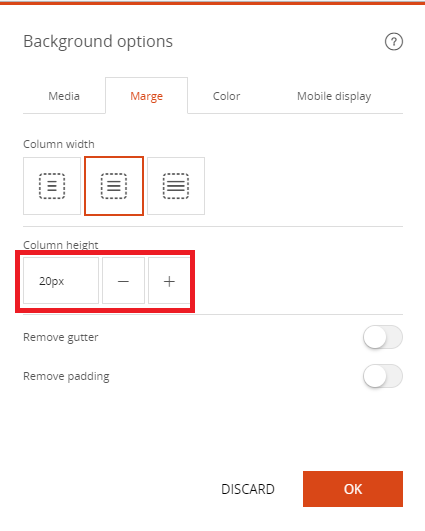 By default, the height of the image corresponds to the height of the text. 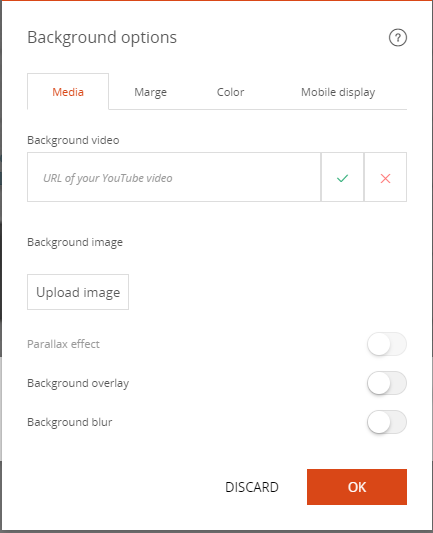 If you can not crop the background image, you can move the background image by clicking on it.